Published on 11 September 2012. 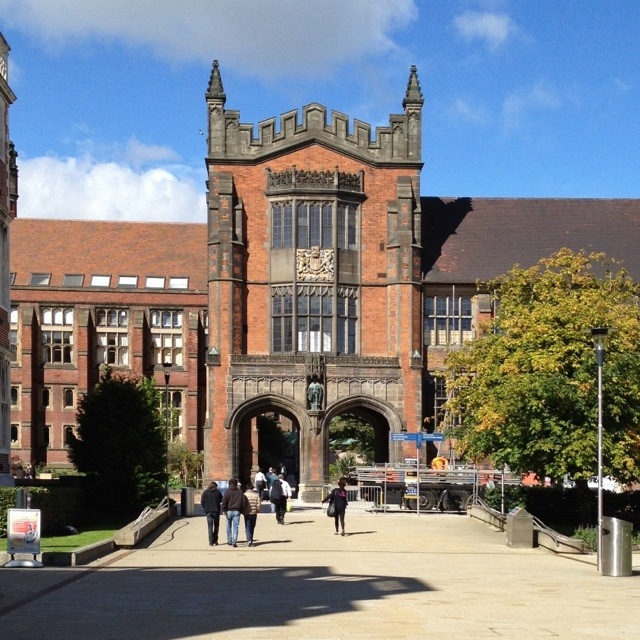 These are the arches of the Fine Art building at Newcastle University, which lead into the Quadrangle. Until recently, there used to be noticeboards between the two arches on which exam results were posted, but these have now been removed, and it is quite amazing the degree to which this simple action has changed the feeling of the space. Below is one of the University’s publicity shots for it’s new medical school in Malaysia – NUMed. In an homage to the Newcastle base, they’ve even replicated the arches…! This 1,805th post was filed under: Photo-a-day 2012, University, Newcastle-upon-Tyne.